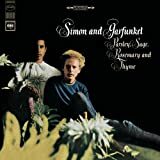 Simon & Garfunkel's, "The Sun is Burning"
A sweet lullaby like song about dreamy bees and babies and hand holding couples, and then all of a sudden... THE MUSHROOM CLOUD OF DEATH! It then goes on to describe "Twisted sightless wrecks of men", all still to the same sweet tune.